As you know, Tanner, Eugenie and I often use this blog to thank friends, family and supporters who promote GIMME SHELTER, animal rescue and other things we consider important and fun. Well, Al Santillo, a master baker from my hometown of Elizabeth NJ, deserves kudos as our biggest fan. 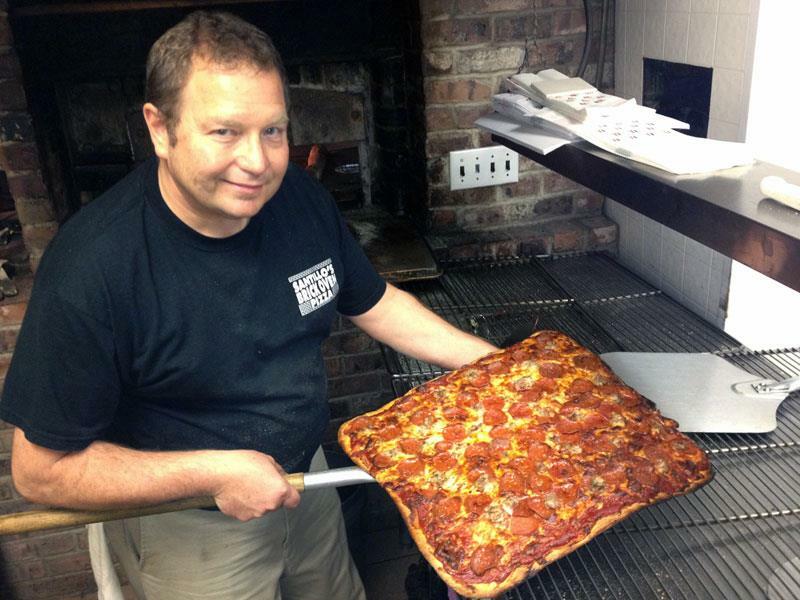 Although our families lived in the Peterstown neighborhood (the Burg for locals) and did business together, that doesn’t explain why Al, who’s busy running his family’s terrific pizzeria and bakery, would make the time and effort to share the book with his friends and customers. Next to Diesel, our local bookseller, Al has sold more copies than any other person or outlet. So, when you’re in back East and looking for a great, award-winning pizza, and some fun conversation, stop by Santillo’s and tell Al Tanner and Lou sent you. The Maestro at work. Grazie, Al.